You guys, I get so much joy out of converting slow cooker recipes into brand spanking new versions for the electric pressure cooker. There are so many advantages to doing this! Everything cooks much faster, so there’s no need to plan ahead—yet you can also leave the food on the “Keep Warm” setting if you don’t get to it right away. Total flexibility. This beef stew can even be left on the warm setting all day long, so you can start it in the morning, then come home to a hot dinner. This stew is an adaptation of one of Elise’s tried-and-true recipes from the Simply Recipes archives. Instead of four to eight hours, the recipe only takes about an hour and a half to make in the pressure cooker (I use an Instant Pot!). Since less liquid is required with pressure cooking, you only need a cup of Guinness (or another stout beer) for the whole pot. That means I get to enjoy the leftover beer on the couch while the stew is bubbling away. Not only does the stew get a deep flavor, the cook gets a treat, too. This makes a tender, deeply flavored beef stew, packed with carrots, parsnips, and root vegetables. Pressure cooker for the win! Do steps 1 to 3 on the stovetop. Secure the lid on the pressure cooker, bring up to high pressure, then turn down the heat and let the stew cook for 25 minutes at high pressure. Let the pressure release naturally completely, or allow the pressure to release naturally for at least 10 minutes before performing a quick pressure release. Add the root vegetables, then cook the stew under pressure for two more minutes. Perform a quick pressure release and open the pot. Stir in the cornstarch slurry right away while stew is still bubbling. Serve. Looking for a slow cooker version? Here you go! 1 Sear the meat: Pat the pieces of beef dry with a paper towel, then season them on all sides with the salt and pepper. Select the high “Sauté” setting on the electric pressure cooker and heat the butter or oil. Brown the beef in the butter in two batches, searing the pieces for 4 minutes per batch and flipping them halfway through cooking. Don’t worry about trying to sear every side of the beef—you’re just trying to get some browning on the beef and some flavor developing in the pot. 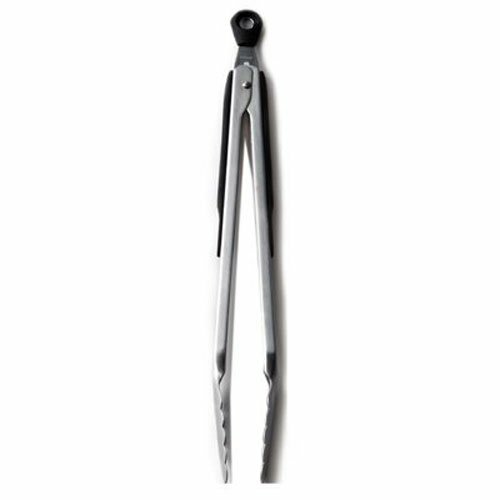 Use a pair of tongs to transfer the meat to a dish. 2 Cook the onions and celery: Add the onions and celery to the now-empty pressure cooker. Cook until the onions begin to soften and turn translucent, about 4 minutes. Stir in the tomato paste and cook for another minute. 3 Add the liquids to the pot: Pour in the Guinness. Use a stiff spatula to scrape up any browned bits from the bottom of the pot. Let it simmer for five minutes to reduce the beer a bit, then stir in the reserved beef, beef broth, and thyme. When the cooking program finishes, let the pressure release naturally for 10 minutes, then release the remaining pressure by moving the pressure vent to its “venting” position. At this point, you may also leave the stew on the “Keep Warm” setting for up to 10 hours, before continuing with the rest of the recipe. The beef will become more tender the longer it sits. 5 Add the root vegetables and pressure cook: When the pressure has released, open the pot. (Optional: for a leaner stew, you can use a ladle or spoon to skim off some of the fat.) Stir in the carrots, parsnips, and root vegetables. 6 While the stew is finishing, mix the cornstarch and water together in a small bowl to make a slurry. Stir in the cornstarch slurry right away while stew is still bubbling. The residual heat will thicken the stew within a couple minutes. 8 Serve: Ladle the stew into bowls and serve it hot, with fresh parsley sprinkled on top. Hello! All photos and content are copyright protected. Please do not use our photos without prior written permission. If you wish to republish this recipe, please rewrite the recipe in your own unique words and link back to Pressure Cooker Guinness Beef Stew on Simply Recipes. Thank you! Very easy to follow delicious, tasty recipe, that I will surely make again. Love this recipe. I’ve made it soooo many times since discovering it on your blog! I love veggies so I add zucchini and summer (yellow) squash along with my carrots / parsnips and potato’s. I add garlic and seasoning to the beef while browning! When I add the veggies I also add one cup of a very dark rich red wine. Gives the entire stew just a heavier – fuller taste. But I LOVE this with it without my added red wine! I totally share this recipe with people every time I make it! The best recipe I’ve made in the instapot. Trial and error on getting the veggie sizes right- need to be chunky. Added extra beef broth- 2.5 cups and some extra seasoning but otherwise kept it exactly as published. Excellent stew! This is exactly what you would expect to eat in an Irish Pub!!!!!!! I have made this stew many times in my LeCreuset pot…..NEVER was the meat and the vegetables this tender!!!!!!!! Way to go!! This was my first recipe in the instant pot=I am sold on it!!!!! I let the meat stay on warm for 1.5 hrs and then added the veges and potatoes. Really enjoyed this recipe! It allows for a lot of customization which I really enjoy. The only thing I will need to drastically change for next time is seasoning the meat. Even with the browning, it just didn’t have as much flavor as I would like. Other than that, is excellent! 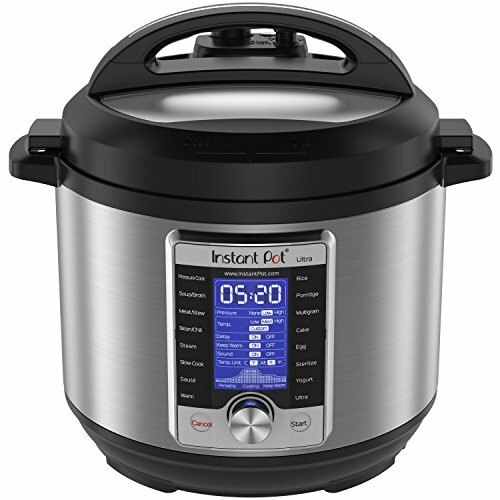 Wow, I think you just inspired me to buy and Instant Pot. I forwarded this to many friends and relatives. Thank you for all you do. You “how to use an instant pot” is the greatest. The recipe is just a great bi-product. Made a few changes but the base recipe is wonderful. Used 3 lbs of chuck top blade. 3 cans of beef broth. Added 4 smashed cloves of fresh garlic to the veggies. Will def make again. Wonderful! Used Founders breakfast stout (it’s what I had in the house) and it turned out great. I pan roasted the root veggies first then added them in at the end. A sweet savory flavor! Awesome, with or without Guiness. This is a great recipe, which my kids & husband declared the best stew ever. My son’s friend said it was as good as his Mom’s cooking! I substituted red wine for the beer, because I was worried about bitterness. I added garlic & seasoned salt. Thanks for sharing!!! I’ve made this recipe in my slow cooker, and loved it. Now i would like to give it a try in my Instant Pot. I am cooking for a crowd, so was hoping to double the recipe. Any tips/suggestions as to adjustments that might need to be made to the cooking time if I were to try and double this recipe? I haven’t doubled this recipe before, but given what I know about Instant Pot cooking, I think it could work with a few tweaks. You’ll need to brown the meat in 4 batches instead of 2. I would also keep the liquid amounts the same — twice the vegetables will give up a lot more liquid. The cooking times should remain the same as well. Do let me know if you try it out! I made this today and I added mushrooms, parsnips, celery, and more garlic, it was amazing. I think it was the best stew I’ve ever made. I will definely make it again. Made this with chicken thighs and added a handful of mushrooms and a tablespoon of soy sauce to get some extra flavor. Was absolutely amazing! Delicious! Used butter, rutabagas & dried thyme. Even my kids were gobbling it up! Start to finish (including prep time) was about 2.25 hours (I have an 8qt Instant Pot which sometimes adds a little time). Meat was falling apart & the veggies had just the right tenderness. This is a wonderful recipe, but I prefer lamb, so I substituted bone in lamb shoulder chops for the beef and chicken stock for the beef stock. After step 4 and before step 5, I laid paper towels over the stew to remove most of the fat, removed the lamb and deboned it, as well as running the broth through a colander into a bowl to reserve the liquid and make it easier to find and remove random loose bones. Then I returned the broth and the remaining contents of the colander to the I-Pot, and proceeded with step 5. Made this on a cold eve, up here in Tahoe. Given guests were here the “pressure” was on! Thanks Howard! I’m so glad everyone liked it. Keep warm! I just made this in under an hour, used Porter Beer because that’s all we had, followed exact instructions…. FANTASTIC! Such an excellent dish. Thank you for sharing your recipe. Can I use this recipe in my crockpot and adjust the time accordingly? I got a stove top pressure cooker last year for Christmas (that I didn’t really want) but I am really coming to love it when I want to make a meal in a hurry and I still use your recipes for the InstantPot only in my stovetop cooker.